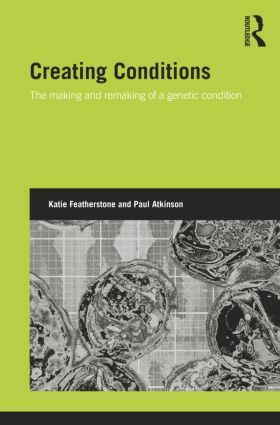 Based on original ethnographic research with scientists, clinicians and families, this book examines Rett syndrome to illuminate more general issues concerning the construction and interpretation of diseases and syndromes. It derives from research with a specialist team of clinicians and scientists, and a series of families referred with a potential diagnosis of Rett syndrome, and documents the scientific, clinical, patient and family experiences over a three-year period. Although Rett syndrome itself is rare, it is one of some 2,000 such syndromes, and its genetic basis has recently been linked to the much broader Autism spectrum. From a sociological or anthropological point of view, it is also of considerable interest as a clinical entity that is undergoing transformation in the light of recent post-genomic research. Traditionally, such syndromes have been diagnosed clinically, but increasingly genetic technologies are having an impact on the diagnosis, description and classification of conditions. Rett Syndrome is thus a key exemplar of the implications of genetic medicine that are far-reaching and extend well beyond this particular syndrome.